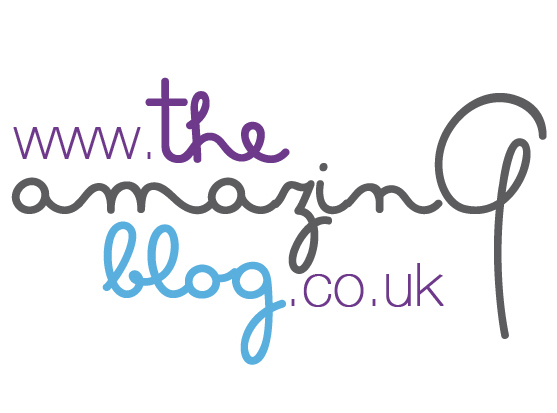 At the Amazing Blog, the atmosphere in the office over Christmas is amazing we are all counting down for the Christmas celebrations and looking forward to spending it with our loved ones, plus we are excited to see what everyone got given for Christmas presents. Leading up to Christmas we have been doing a Christmas gift guide leading up to the big day, and this is guide is for all the last minute people who need to get alternative presents. Winter nights at home lounging on the sofa in your comfy pyjamas are the perfect setting when you have candles lit around the living room; a delightful candle that smells gorgeous when lit is the Violet & Sweetpea by the brand Etta French. Etta French is known for being a luxury that are full of surprises that hides a special item of jewellery in each candle which is exclusively created by their UK designers, we thought this is a lovely idea as each jewel has a special touch of beauty and style that we think would make a lovely gift to someone for Christmas. Plus it is the element of surprise as they will unwrap and find two presents in one product. The candle it’s self has an gorgeous scent to it, that makes you want to have it lit straight away also each candle is hand poured in the UK and uses 100% natural plant wax. The candle is available to grab here for £38.50. The brand Fressko kindly sent us two of their flasks, which is appropriate considering it is winter these are the perfect gifts to give someone to keep them hydrated and warm over this season especially if they live in the UK, and we all know how unpredictable and cold our weather is. The first flask we received was the Tour flask this is suitable for tea and fruit water, perfect if you know someone who is an adventurous day-tripper, we really liked the packaging of this design it has a wooden top but the actual flask is clear so you can see all the goodness from the fruit within the flask. The second flask which we all really loved in the office was part of their colour collection; the Colour Flask is the colour blush it is a beautiful tone of pink it’s very appealing, feminine and would make the perfect gift for a female. 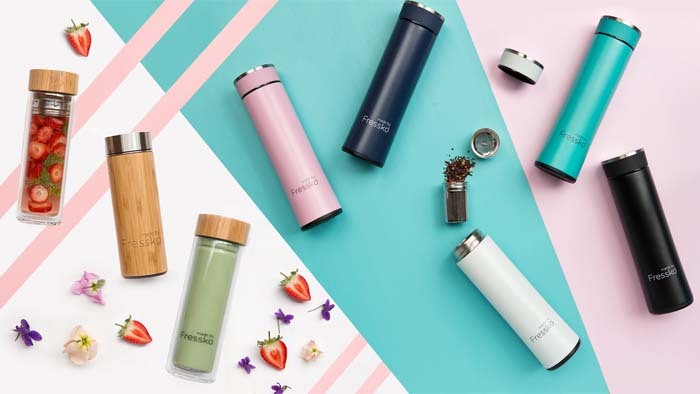 The colour flask is slightly smaller has its 360ml compared to the tour mask which is 400ml, however the colour collection has 6 hour insulation and is suitable for hot and cold beverages, and it is colour coated with a variety of colours you can choose from and it is a stainless steel flask. You grab the tour flask here for £36.85, and the blush flask is available here also for £36.85. The third product we recommend is a beautifully scented diffuser by Heathcote & Ivory, called Atlas Silks it smells gorgeous and will fill your room with an inviting scent of atlas silks, mountain rose, ylang ylang, sandalwood plus it is blended with essential oils such as coriander. We chose this particular brand to feature in our gift guide because the artistic packaging is really pretty and would make a perfect alternative present for a loved one or family friend, especially if they love bringing colour, scent and sophistication to their home interior this product would be make a really nice gift. This product is available to purchase here for £22.00. Another alternative we recently got sent to our office and as a team we loved how convenient and useful the product is by Tweexy. We have find a new product that will help make your life easier, any girls who regularly paint their nails at home know how painful it can be when your knock a nail polish over. Tweexy is a comfortable polish holder that fits for all, and will make painting your nails become less of an annoying task. What we love about Tweexy is it comes in a variety of different colours, it is very comfortable and light on the finger and it doesn’t get in the way of painting and makes your life less complicated. This product is perfect for a female who loves try new things, it is small and perfect to travel with and also small enough to make a good stocking present or a secret Santa gift. Whether this product is for you or to help a best friend out, this will make life easier. You can grab this product here for £9.95.